Computerworld and others reported this week on Mozilla‘s launch of a viral marketing campaign. “The campaign is a departure from Mozilla’s usual marketing efforts, which has relied on the Spread Firefox site and the host of fans who drum up support for the browser,” states the article. Given the geeky nature of many of the key customers of technology companies, the viral marketing strategy is sure to be an increasing trend as emerging, “edgy” companies seek to set themselves apart from the incumbents. And, let’s face it, it’s good fun too. “Engage your audience, don’t interrupt them,” is the marketing mantra I hear everywhere these days. Hear hear! At inmedia, we work within a pretty specific niche – we do media and analyst relations for business-to-business technology companies. Period. This does cover a wide spectrum of technologies working in a variety of sectors, but most of our clients have a very well defined business and tend to be focused propositions targeting a very particular customer, be it a voice application developer or a purchaser of x-ray sensor equipment for the veterinary market. The challenge? How do we reach these niche audiences and get through to the tastemakers and influencers that help our clients’ customers make purchasing decisions? The good news is that there is a media channel for everyone and everything. If you can imagine it as subject matter, it is almost guaranteed that there is a trade publication, web site, blog, newsletter, magazine, television show, radio show or other media channel that covers the topic, if not exclusively, then at the very least, on a sporadic basis. It has been our experience that more often than not, there is at least one media channel devoted to whatever specialized audience you must reach in order to sell your product or service. Just as companies develop products for a known customer-base, so too do media develop channels for particular audiences. It’s safe to assume that if there’s a market for your product or service (and you had better hope that there is), there is a media channel that speaks directly to that market. Using our range of monitoring tools and directories, we ensure that we’re targeting those media outlets that truly have the potential to move your market, no matter how focused your offering is. When it comes to speaking to your media marketplace, it’s quality, not quantity that matters. The readership of a niche publication may be only 3,000 people, but if those 3,000 readers are purchasing decision-makers in your market, then this is likely to be a very high-value media target for you. Do more people read the New York Times? Absolutely, but it’s unlikely that coverage in that publication will influence the purchasing decisions of your niche audience as much as these more focused publications are likely to. Too bad; the company she used to work for is now out of business, taking a genuinely valuable technology advance and more than $30-million in investors’ money with it. Maybe now, she at least has a yardstick with which to measure the cost of not marketing. It is an enduring myth, though, that marketing in general, and maybe public relations in particular, evades measurement, that there’s no way to calculate the return on investment for such an inexact science. As with many of my other favourite fictions, it is a myth perpetuated in large part because it serves many in the PR industry itself to do so. Theirs is a black box science, they tell gullible clients, dependant on things like “relationships,” and intended to “build buzz” and a bunch of other ambiguous terms deliberately employed expressly because they do evade objective definition. I can’t imagine that any client today will sign on to a program that doesn’t at least define a scope of work in clear and unambiguous terms. In other words, a critical path of activities that at least tells the client how much PR stuff they’re buying, how many news releases, analyst briefings, story pitches, trade shows supported, that sort of thing. We call that measuring outputs, and it’s as far as many agencies are prepared to go. We think it’s a good, but woefully inadequate, starting point. Any agency worth its retainer should be willing to describe the results its efforts will produce in similarly unambiguous terms. If you invest in our exerting this much effort, dear client, you will see this much media and analyst coverage over the term of the program. We call this measuring outcomes, and we define it very clearly in terms of specific objectives for the program. We tell you which media outlets and analyst firms we’re targeting. This is not unusual. What is unusual is that we will then tell you exactly in what percentage of them we expect to generate coverage over the term of the program, what type of coverage that will be, and what sorts of stories, key messages and so on that coverage will contain. We break down our objectives by category of activity, setting success objectives for individual news releases, product launches, analyst tours, trade show briefings, speaking programs, and so on. We like this approach because we’re not asking our clients to buy a bunch of PR stuff from us. Rather, we’re asking them to invest in a given level of effort, the outcome of which we have clearly defined. Now they only need to ask themselves whether those results are a good return on the investment we’re asking them to make. At the end of the program, our clients don’t need us to tell them whether we have achieved the objectives or not. They can tell, without a trace of uncertainty or ambiguity, for themselves. If your agency or internal PR department won’t commit to setting those kinds of objectives, it’s time to find a new one. But, as they say on the late-night infomercials, don’t call yet, there’s more. Even if we achieve the outcomes we projected, is it worth anything if that media and analyst coverage hasn’t advanced our clients’ business objectives? Here’s where the wheat really gets separated from the chaff. I’ll write more about this in a future post. O&P Edge, an independent media company that covers the clinical, business, regulatory, and human aspects of the orthotic and prosthetic community, is featuring an article about marketing O&P practices. The article is a Q&A with our managing partner, Francis Moran. He provides insight into why marketing is important for this group and shares easy-to-follow marketing strategies. To read the article, click here. The truth is that all media channels have original content in the hopes that it will capture and maintain the audience’s attention enough so that they see the paid advertisements. 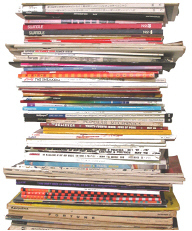 Print publications, including trade magazines, are no different. That’s not to say that the editorial content is not valuable or does not have the potential to move your market, it does, but at its simplest: no advertising revenue, no media channel. Editorial calendars are an integral part of the media kit for print publications. In addition to the document’s purpose of mapping out what editorial coverage will be happening and when, with what focus and responsible writer or editor, it also provides the advertising sales department with a compelling reason to target specific companies with particular product or service offerings at specific times. For our purposes, as a company that focuses exclusively on securing earned, as opposed to paid, media coverage for our clients, we are interested only in the editorial aspect of the calendar. That doesn’t stop some sales people from pitching us for advertising dollars, but that’s another story. Editorial calendars begin to emerge in the autumn and winter for the year ahead. The gathering of these ever-changing calendars is a cumbersome task indeed and as such there are a number of subscription-based aggregators through PRNewswire and other independent providers like MyEdCals. These aggregators can help one find those opportunities that may be less obvious, opportunities in those publications that are not primary targets for the ongoing campaign. Some editorial calendars have all of the pertinent information one would need to pitch the editor while most have just a phrase or subject and require more intensive follow up with the publication to assess the opportunity. Even if an opportunity seems as though it would be appropriate for your company, it’s important to gather information about the nature of the opportunity – is it a case study? A bylined article? A Q&A? A product review? A ‘bake-off’? – and whether your company has the resources to participate in the article if the editor is interested. If resources are tight, you should be able to turn to your media relations agency to develop content on your behalf, mediate interviews and case studies with your customers or handle the logistics of submitting a product for review. While certainly not a comprehensive view of all opportunities to spread your message in the marketplace, editorial calendars are another useful tool in the PR practitioner’s toolbox.